Summary: Ruby Bridges, 6-year-old hero of the Civil Rights Movement, daily faced an angry mob as she single-handedly integrated an elementary school in New Orleans. Facing this mob with courage, dignity, and her unyielding faith, every morning Ruby prayed for those who verbally abused her as she walked to school. Hanna’s Comments: The author, a well-known child psychiatrist, regularly spent time with Ruby Bridges during her school integration ordeal. 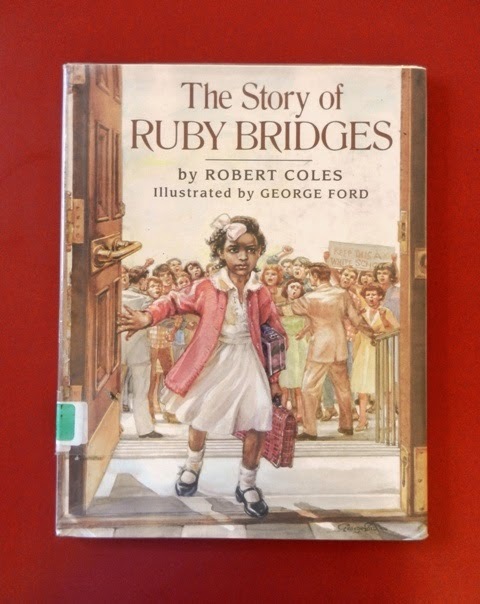 There is much material about Ruby Bridges, (interviews, documentaries, video dramas including a Disney film, a famous Norman Rockwell painting…) as well as other picture books. This book was chosen for PBT because it is a first-hand account, and it emphasizes Ruby’s resilience and faith. Idea(s) for Application: Read this book in a children’s lesson on intercessory prayer, facing fear & other difficulties with faith and prayer, or Contemporary Christian Heroes.